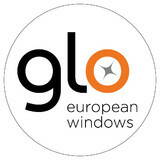 European Windows and Doors with a focus on high performance, luxury and passive house. A division of Energetechs, our staff has a combined total of over 100 years in the green building field. energy efficient windows and doors became a natural transition in supplying a quality product for you and your building envelope. Our windows and doors were created with you in mind and built to perform. We provide the Lolo, MT Missoula and the surrounding area with a complete range of glass services. No job is too big or too small. Our professionals are among the best in the industry. We are trained to provide you with the solutions you need as well as the quality you deserve. We have made a strong presence in our business market and are continuously striving to offer the best to our customers, something you will quickly realize when you choose us. Lolo Glass has achieved success through the understanding of our customers’ needs. We know that you will find what you are looking for with our glass services because we stand behind our work and know that we will deliver the satisfaction that you’re looking for. Whether you need a windshield replaced or new house windows for your business we’re here to help. All you need to do is give us a call and we’ll take care of the rest. In the mean time, feel free to look around our site to learn more about our services. If you have any questions or concerns, please don’t hesitate to contact us at any time. We look forward to hearing from you soon. 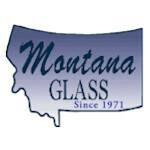 Montana Glass has been serving the residents and businesses of Missoula for over 40 years. By remaining dedicated to our customers' satisfaction, we have built a great reputation for quality, service and workmanship throughout the entire area. Just ask your friends, neighbors, colleagues and classmates who has done their glass work. The answer will likely be Montana Glass. That's what makes us "Your Friends in Glass!" At Montana Glass, we pride ourselves on quick turnaround times for replacement glass, custom window panes, and quality in installation of any of our various glass products. Just ask around. We are sure you know someone who has had work done by Montana Glass! 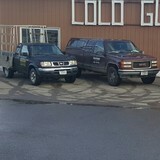 At Montana Glass, estimates are always free! Give us a call at 406-728-3180, or stop by our showroom today for a complimentary consultation! Whether you’re building a new Victor home, remodeling an old one or just replacing a few windows that are past their prime, your window dealer in Victor, MT will help you pick the right windows for your needs, home style and budget. Windows come in so many sizes and types that expert advice and direction is invaluable in helping you make the best decision. These pros can also help you with custom window designs that complement your space better than something ready-made. Lastly, if you are interested in doors with windows, these experts are also knowledgeable about sliding doors, French doors and other paned portals. Find a window dealer on Houzz. Narrow your search in the Professionals section of the website to Victor, MT window dealers. You can also look through Victor, MT photos to find examples of windows that you like, then contact the window professional who worked on them.